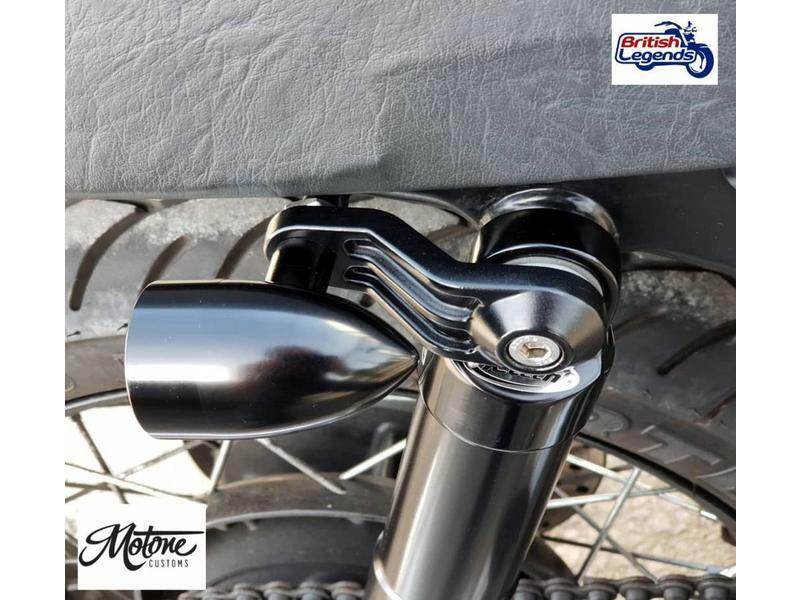 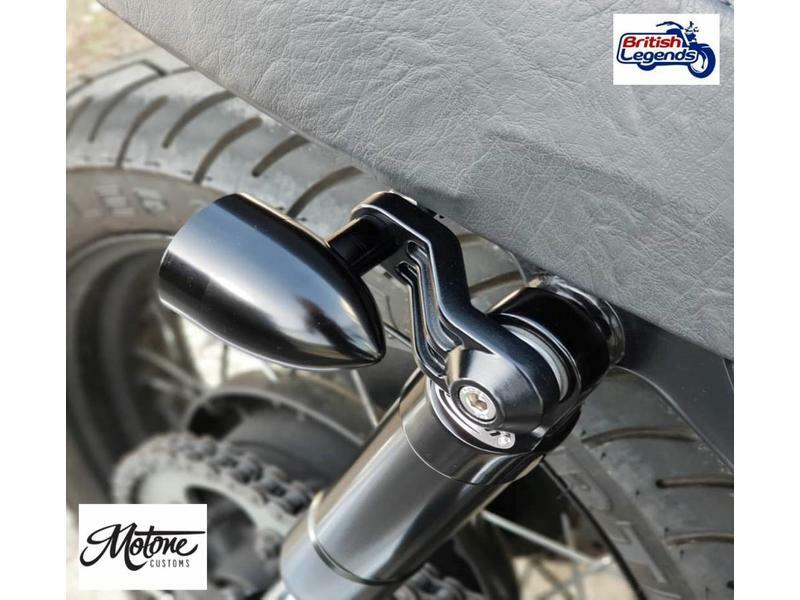 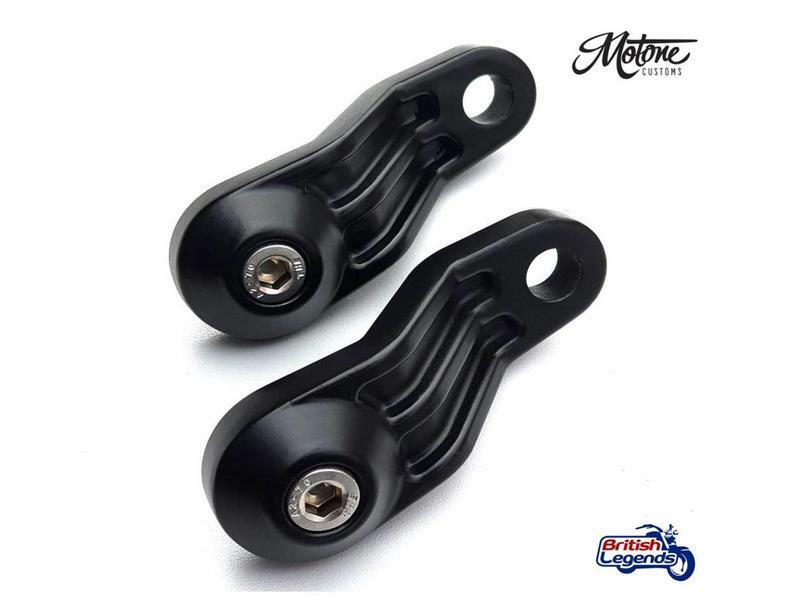 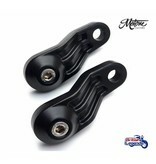 Suitable for all bikes with dual shock absorbers. 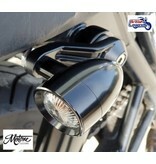 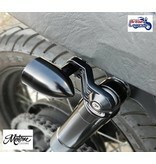 Also suitable for Kawasaki W650/W800. 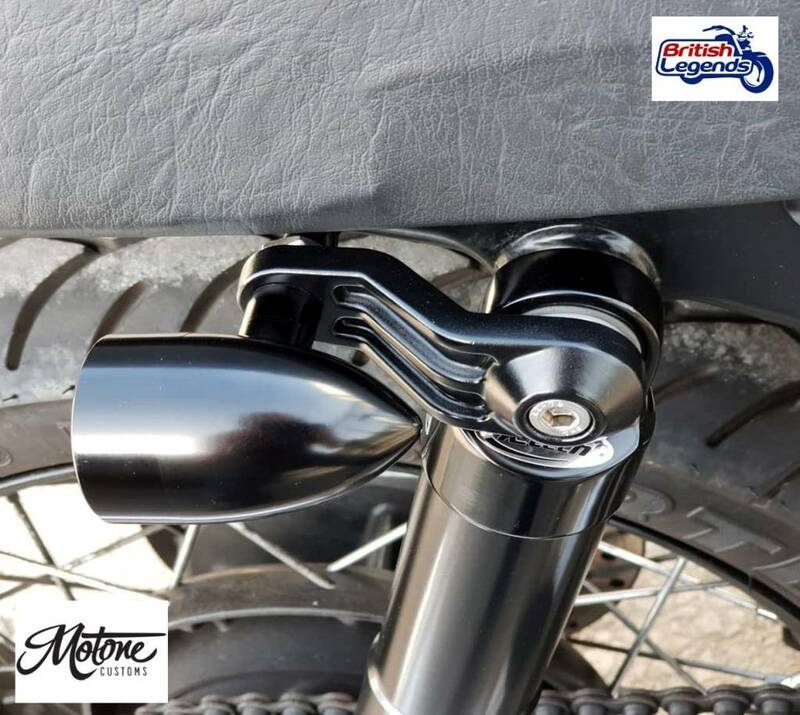 Not suitable for Scrambler 1200 (2019+). 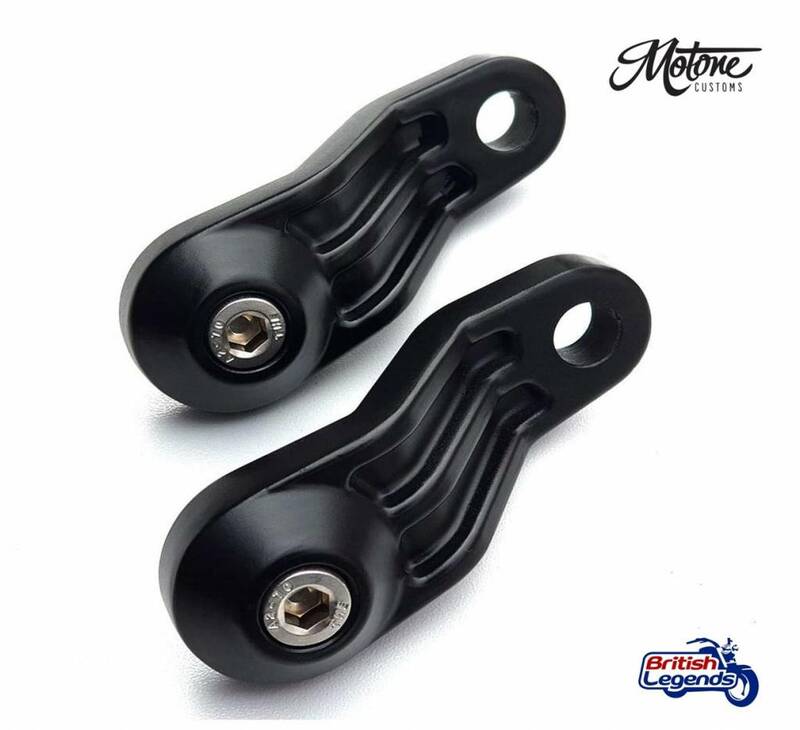 Pair of indicator brackets to relocate the rear indicators to the top of the dampers. 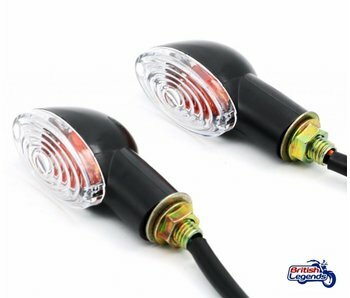 The turn signals are positioned under the edge of the seat, and so do not interfere with the presence of a passenger. 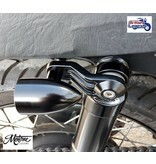 Pressure-cast in aluminum alloy, supplied with 2x M8x30 stainless steel bolts. 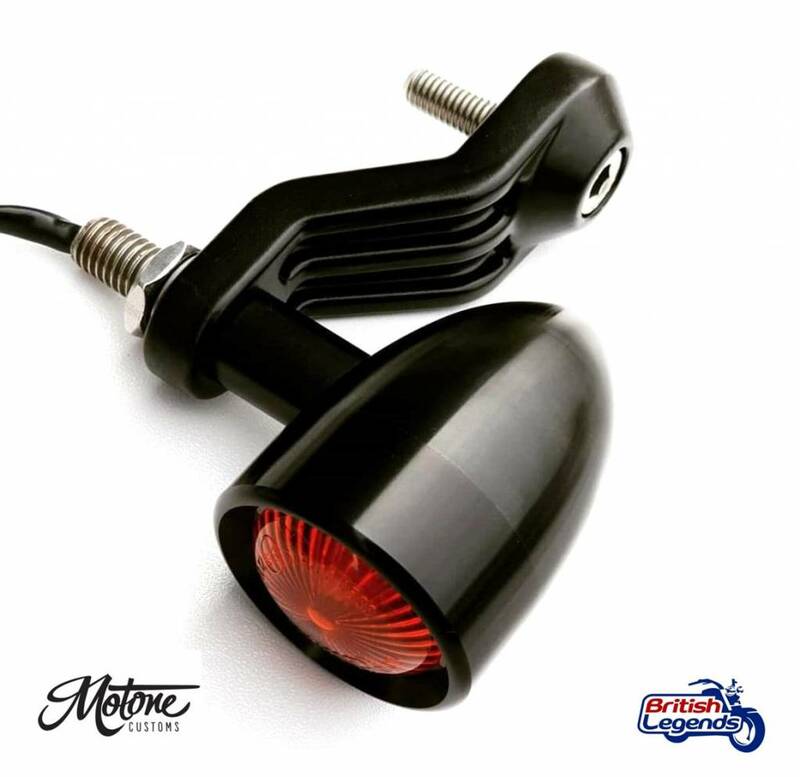 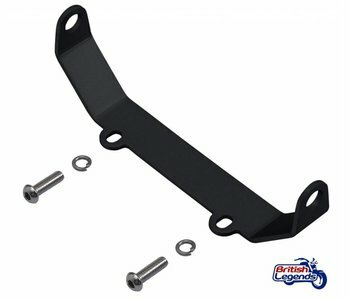 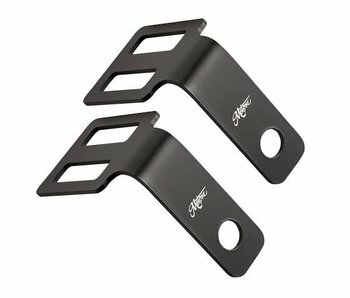 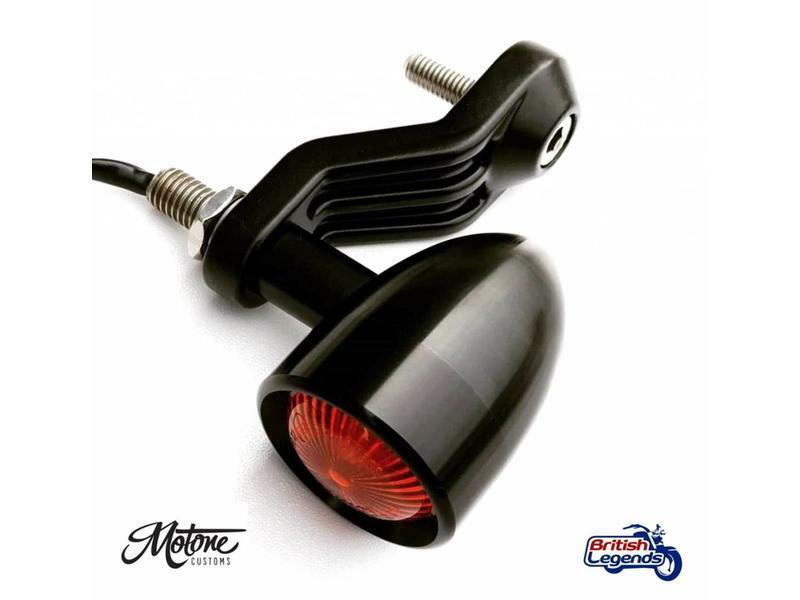 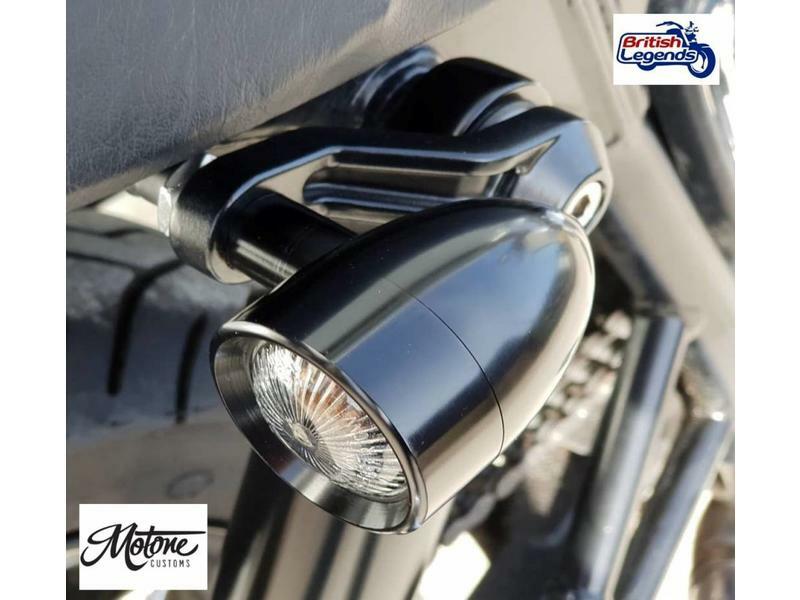 Allows the fitting of most aftermarket turn signals (8mm or 10mm threaded rods). 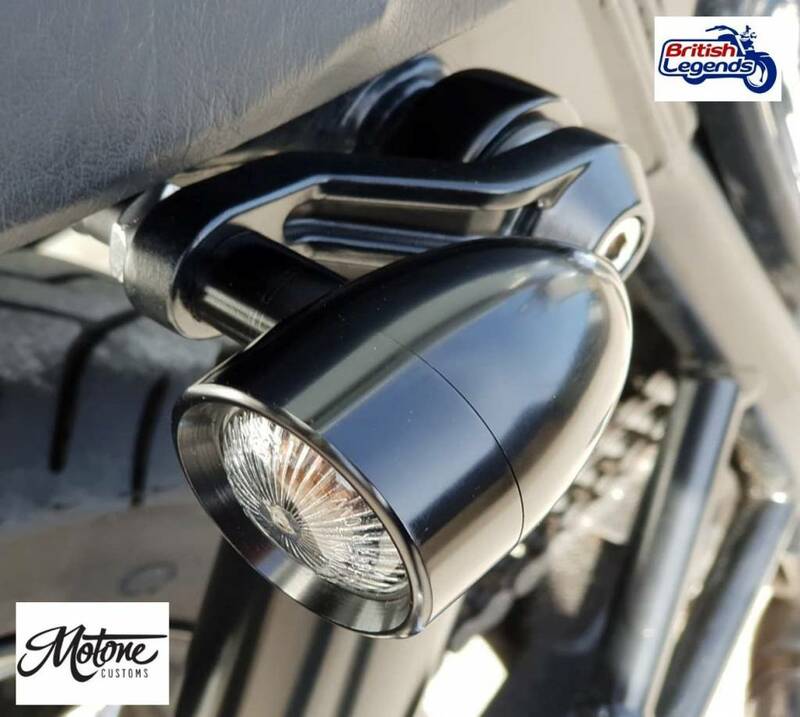 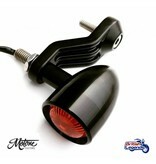 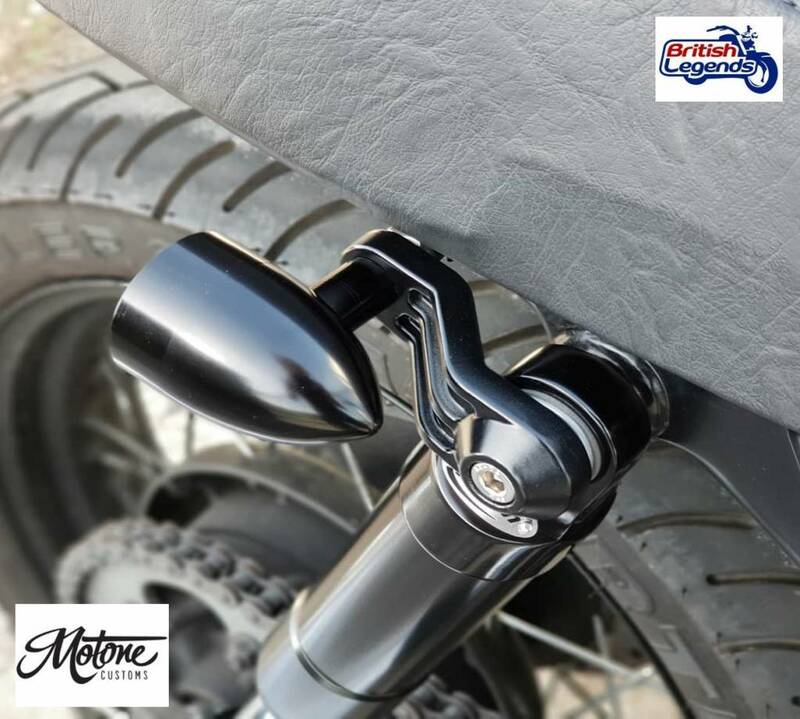 To reposition your rear indicators / turn signals under the seat, to visually simplify the back of the bike.